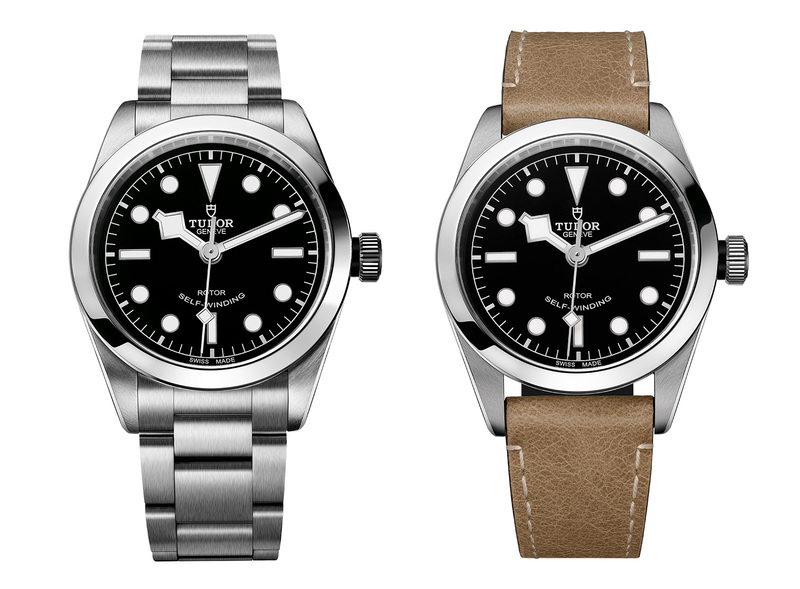 Conceived a slightly more formal and perhaps more feminine sports watch, the Black Bay 36 (ref. 79500) is also the new entry-level historical remake from Tudor. 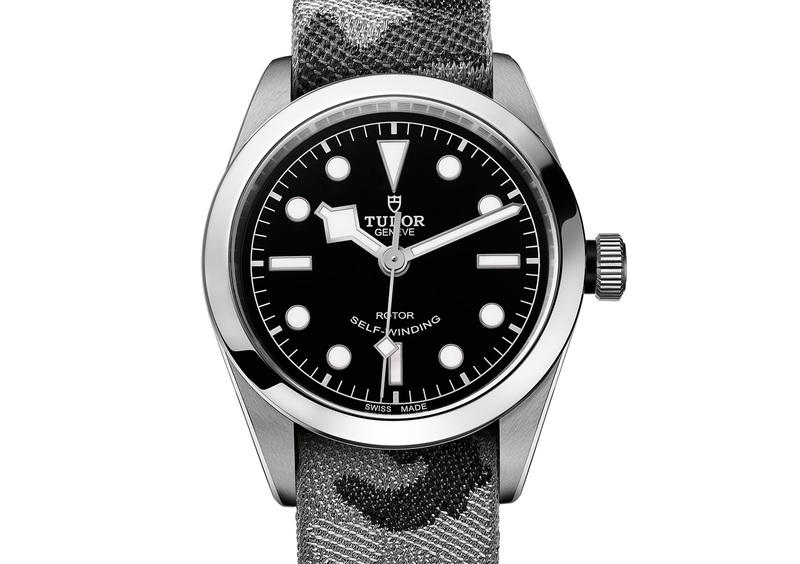 A modest 36 mm in diameter, the Black Bay 36 is a smallish watch that has the look of the Black Bay, Tudor’s retro style dive watch, but not quite. While the dial and snowflake hands are familiar, the dial is glossy instead of matte and flat instead of domed. And the bezel is smooth and flat. The result is a watch that is slightly less sporty, and suitable for ladies as well. 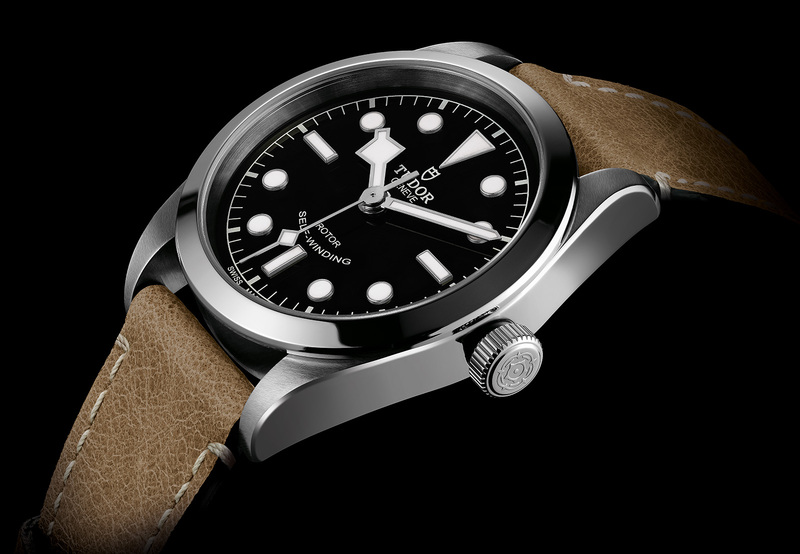 The Black Bay 36 (ref. 79500) is stainless steel and equipped with an automatic ETA 2824. It’s available with a steel bracelet or leather strap, starting at SFr2400 including Swiss taxes.